PPC (pay-per-click) advertising is a great digital marketing option for those looking for fresh prospects, especially if your market is flooded with traditional marketing efforts. The problem is that online marketing efforts can be difficult to track in the office. Some people will simply say “Google” or “I saw your website” when you ask them how they heard about you, but they may not know to tell you they saw your paid ad—or even realize that they clicked on an ad! Another issue is that there’s an added complexity if you are running other initiatives like direct mail. A patient may say they got the mail piece, but their phone call is tracked to an online initiative. Landing Pages – PPC best practices include having a landing page related to your paid ads that feature a contact form that you can track to that specific page. What is a landing page? This is a simplistic stand-alone web page where a visitor “lands” after clicking your ad. This page is designed to have one single focus and for the audiology industry that’s typically to contact your practice. It should include enough information to be relevant to the ad but not a recreation of your entire website; less is more in this case. 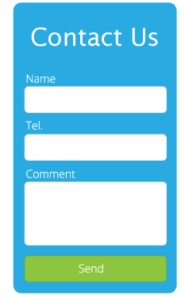 Form Submissions – By featuring a contact form on the landing page, visitors can quickly and easily send you their information. This form submission is emailed to the practice and can be translated as that visitor asking your practice to reach out to them. The quicker you can reach out to them, the more likely you’ll book a new appointment. Google Analytics – This tracking effort is typically set up by your PPC provider but may be even more important if you’re managing this effort in-house, especially if you’re not using a PPC-specific contact form or call tracking. Google Analytics tracks an overwhelming amount of data and one of the most helpful tools is the ability to set “goals” which could be contact form submissions or smartphone click-to-calls. If you’re not using a landing page, you can track the number of visitors to the specific page you’re directing your ads to. Office Follow-up – Someone in your practice should be following up on any prospects, both from phone calls and form submissions, within 24 hours of being received during business hours. Checking your voicemail after lunch (if the office breaks for lunch) and first thing in the morning can ensure you’re following up with those who want to hear back from you. Also, often times, you can set up the forms to be sent to multiple people so that an FOP and management can get them. This way the FOP can follow up quickly and management has a “receipt” of the contact and make sure any tracking matches. Call Tracking – Call tracking can be incorporated on both your website and PPC landing page to optimize tracking. By using different tracking numbers on your website and your landing page, you’ll be able to track PPC-specific leads. Tracking all calls from your website is a generally good idea so that you can understand how many prospects are calling to make appointments and how many are current patients. Some call tracking providers feature a technology called “dynamic number placement” which is great to implement in your tracking. The idea is that the numbers on the website automatically change depending on where the site visitor has come from—meaning organic search, PPC ads, and even social media channels! In other words, you’ll be able to track incoming calls from all of your digital efforts, not just your PPC. Call tracking is also helpful when patients are calling the digital tracking number but indicate that they received a mail piece. You would attribute this call to your digital efforts because it’s the effort that spurred the person to contact the practice. Practice Management Software – Making sure your front office staff understands that you’re running PPC ads can be very helpful when it comes to tracking in your practice management software. This way, they’ll know to ask callers which initiative they’re calling from as well as which referral source to use. Also, call tracking can help ensure you’re listing the correct referral sources as it can help you differentiate between general “online” activity and PPC-specific activity. Why is tracking your PPC important? For ROI of course! Because digital marketing is happening in real time and doesn’t feature tangible collateral for someone to save until they’re ready to act (like direct mail), it can provide a shorter buying cycle. Still not sure how you can track your digital marketing efforts? Consult YHN can help! The Consult YHN Marketing team can translate reporting into actionable items and make suggestions on how to improve your current tracking efforts. We can also consult on your overall digital marketing strategy, including reviewing proposals, developing budget suggestions, and more. Contact marketing@ConsultYHN.com to get started today! Notice how “customers” are the first audience they call out? They are the easiest people to market to, yet practices tend to leave them by the waist-side. You have an established relationship with them. You already invested the time (and money) to get them in the door. Regardless if they purchased or not, you should want to maintain that relationship with them, so they continue to come back. Out of sight, out of mind. The hearing industry has evolved into a heavily competitive environment, so your patients are bombarded with advertisements from the larger, big box competitors that have the million-dollar marketing budgets. If you aren’t communicating with them on a consistent basis, they are more likely to go elsewhere. It is less costly. As opposed to marketing to the whole 65+ community, it won’t cost you nearly as much to mail something to your patients. It would be even cheaper if you sent them an email! The ROI is also much higher because you are marketing to more qualified leads. Compared to ads, inserts, digital marketing and traditional direct mail results, database marketing had the highest ROI – 99%! 68% of completed appointments that came from a database initiative, converted to units sold. Practices who ran an Consult YHN Upgrade event where they targeted their TNS and OOW patients, on average made almost $31K in profit – just from one 3-day event! Document where your patients came from and what the result was from their appointment. This will help you tailor your messages to those specific audiences. It will also provide insight into whether your marketing is working appropriately. Devote 10% of your marketing budget to database marketing and implement it. This can consist of letters, birthday cards, postcards, newsletters, etc. These messages can either be delivered through the mail or the internet. Execute fun events to get patients to come back into the office. You can do different things like a patient appreciation week, a wine & cheese night or even host Q&A sessions with both hearing aid and non-hearing aid users. We can organize your database by establishing the correct referral sources and working with your practice management software on developing segmentation lists. We can design any marketing piece that you want to send out to your database. We can host your next Upgrade event. All you need to do is contact your Consult YHN representative or the marketing team to get started. We will work with you to make your practice profitable by keeping it top of mind with your patients. *These facts are based on the data that our Associates provide to us that is captured in Consult YHN’s quarterly marketing ROI report. For years, Apple, REI, Disney, and many other industry-leading companies have been using online chat to achieve superior customer experiences and increase sales effectiveness. Research shows that visitors who chat are 7.5 times more likely to complete a purchase than visitors who don’t chat. Chat also leads to greater customer satisfaction and more frequent repeat business, but is it right for professionals and private practices? The theory behind chat is simple: Make it easier for potential clients to communicate with your practice, interact with a greater number of potential clients, and schedule more consultations and hearing tests. Though the theory of chat for your practice is simple, the practice of chatting professionally is difficult to execute. Is it worth implementing in your business? What are the costs and the benefits of chat? Should I manage chat in-house or outsource the management of my chat? What’s a budget-conscious way to get started? Through our years of experience and testing online chat with more than 500 high-growth U.S. businesses, we have answered these questions and many more. Since our beta test period and launch in April 2016, we are now serving hundreds of businesses internationally and have used all of the data from our clients to compose these statistics. Our clients range from small rural one-provider, one-location practices to 15 provider practices in the urban core. Adding online chat is simply a change in approach. Would you prefer clients leave without signing a contract, or would you prefer them to purchase today? Would you prefer your web visitors to be in control of calling you for a hearing test, or would you prefer to collect their information and have your most effective scheduler call them? Interact with new clients outside of normal business hours and increase web conversions. Because chat is more effective than a life-less, “Request an Appointment” button, you will convert more web visitors into new clients when your office is closed by live interaction with the client. Our goal as marketers should be to meet the buyer where the buyer wants to buy. Lower communication barriers help increase the frequency of communication with new clients on your website. Our statistics show that 4-6 percent of web visitors are likely to engage with online chat. Of the total chatters, over 40 percent will be new clients. With an experienced and high quality chat agent, you can expect to collect contact information from 50-60 percent of those new clients. Better organic search ranks due to longer user session duration. When clients chat with your practice, they stay on your site for a longer period of time. Longer session durations lead to higher organic Google search results. Because the average chat length is between seven and eight minutes, chatters are staying on your site longer. Compared with the same period in the previous year, we noticed an average session duration increase of 10 percent. Our client data shows that 61 percent of chats are taken from 10 a.m. to 4 p.m. CST., 19 percent are taken before 10 a.m., and 20 percent are taken after 4 p.m. By answering client questions during the day, your staff can focus their efforts on outstanding in-office client service. Professionally managed chat is a financial investment. If you chose to have a professional manage your chat service, expect the starting rate to be $99-399 monthly. We noticed a slightly higher bounce rate after installing chat on practice websites, however, the evidence suggests that the benefit of session duration outweighs the negative effect of the slight increase in bounce rate. We only saw increases in Google organic rankings after adding chat and never decreases. (Potential) Client frustration for poor chat execution and framing. Chat is easy to do poorly. If done poorly, clients get frustrated, staff get frustrated, and chat is ineffective. Just like the phone, if your team has poor service, poor phone skills, and poor scripting, your phone conversations will not be effective. There are three options for implementing online chat for your practice. Outsource chat to U.S. professionals. Chat agents who are well versed in the hearing process and nuanced differences between different treatment types will be more effective at answering chats. This will lead to better client experiences and more effective collection of new client information. Additionally, if the agents know about your practice offerings, they can build value for your practice. Hiring U.S. agents who work in-office is an effective way to control quality and increase chat effectiveness. This option is best for offices without large call centers. Outsource chat overseas (most chat companies). There are hundreds of options to outsource your office’s chat. Service can range from per minute fees to a flat monthly fee, however, be aware that these chat agents do not know much about audiology or specifics about your practice. They often chat for businesses in a variety of industries and countries. Chat software can be placed on your site easily. There are services that range from free (Tawk.to or MyLiveChat) to more than $100 per month (BoldChat, LiveChat). This works best for practices with a large call center already established for extended hours. It is difficult to reliably answer chats if it is not the staff person’s main responsibility. Do everything you can to decrease new client barriers…that’s the whole idea of chat! You want the box to look trustworthy, not like a cheap service outsourced from another country. Make sure you are keeping track of the effectiveness of your chat. Believing your clients when you survey them about chat. If you ask a client, “Would you have come here to the office if not for our chat?” he/she is going to say “Yes!” 100 percent of the time. No new client wants to admit that convenience of chat alone was enough to get them into your practice. Not having a “pop-out” window. Pop-ups are generally annoying and detract from the web page, so it is important that your pop-out is tasteful and looks like a real human is on the other end. Pop-out chat welcome messages are responsible for starting productive chats 75 percent of the time. Please Note: The above calculation will give you a likely ROI to revenue. Keep in mind that this is with highly trained HearingChats Specialists. Each practice’s results will be different. Just like direct mail, Facebook marketing, and Google Adwords are not for everyone, chat is not for everyone. When chat is implemented deliberately and correctly, however, it can be an extremely effective tool for driving revenue and “wowing” existing clients. If you are interested in implementing chat on your practice’s website, whether you are looking for a professional service or you are looking for help getting chat setup in-house, feel free to chat on our website and our team will gladly offer complimentary help. Scott Hansen is the CEO of HearingChats, the world’s leading professionally managed chat service for hearing professionals. While achieving his master’s in Business Administration at the University of Missouri–Kansas City, he was awarded a certificate of achievement by the Regnier Institute for Entrepreneurship and Innovation for his entrepreneurial work. Scott has owned and managed some the country’s fastest growing privately held businesses. Feel free to contact him at 816-205-8009, or chat online at HearingChats.com. There are those individuals who believe that direct mail doesn’t work anymore, but our Associates’ numbers tell another story! Based on our practices’ data, the average cost-per-call is $247 and the cost-per-appointment is $442. Over the past year, direct mail generated an average of 40 percent ROI for our Associates. Surprisingly enough, there are numerous direct mail vendors that specialize in the hearing industry. We recommend only working with these companies because they understand the market and how to speak to the target audience. All their pieces have been tested and proven to drive results and they will supply the distribution list at no additional cost. Contact us for Consult YHN’s preferred vendor list and pricing. Our general rule of thumb is to allocate about 45 percent of your total marketing spend towards direct mail. Every practice has their own objectives and goals that may require increasing or decreasing that percentage amount. It is up to the practice owner to decide what he/she is comfortable spending and how much they are already investing in other marketing efforts. All of this information helps us determine what funds are available to put towards direct mail. This is a key attribute of the direct mail strategy. If you aren’t reaching the right people in the appropriate zip codes, then it defeats the purpose. Age — Typically between the ages of 62-65, depending on how many residents it pulls. Income — We suggest adding a household income filter of $30K. If you need more residents to target, you can eliminate that filter, but we don’t recommend increasing it. Keep in mind that most of these individuals are retired and don’t have as much disposable income. Zip Codes — We recommend looking at your database and identifying in which zip codes your current patients live. If individuals in certain zip codes are already visiting and purchasing from the practice, others are likely to do so. Once the targeted zip codes have been identified, send them to the direct mail vendor of choice to confirm how many residents they can mail to in those areas. Note: Consult YHN offers free territory analysis reports that identify all your surrounding zip codes in a certain mile radius (varies by practice) and where your competitors are in relation. Now that you have an idea on the budget and who the target audience is, the next step is figuring out how to reach them. When it comes to a successful direct mail campaign, frequency and consistency are crucial. It is best to divide your total audience into groups and rotate them every mailer. Once you’ve reached everyone on your list, continue that rotation until you have sent a direct mailer to your total audience 3–4 times over a 12-month period. You don’t want to inundate them with direct mail, but you need to reach them more than once to make it impactful. Another key factor is how many pieces you send out with each direct mailer. While direct mail can be successful, the response rates are relatively low (.25 – .5 percent). We recommend sending out 5,000 – 7,500 pieces for each direct mailer (per location) to drive the necessary amount of opportunities to make it worth the investment. If you think you need to send more than that, you may want to divide it up further so there is a steady flow of traffic to the practice on a consistent basis. If you are curious as to what results you should expect, check out Consult YHN’s direct mail response rate calculator. It will tell you how many calls and appointments you should receive and the gross revenue that you should generate. We rely on our preferred direct mail vendors to determine what messages are the most successful and what resonates the best with our audience. Those vendors will customize each message for the specific practice (i.e., logo, contact information, offer, etc.) and we do not recommend interfering with the overall message. When you change the content, it could skew the results. We also recommend incorporating an offer that will entice individuals to come in. Many practices offer a free hearing screening, but that may not be enough of an incentive to get patients to your office. If you want to know if your direct mail campaign is successful, you must have a call tracking number on it! Even if you have the best front office staff, it doesn’t hurt to have a documented report that captures all the calls that came in. You can purchase your own call tracking number through one of Consult YHN’s preferred call tracking vendors or your direct mail company may provide one to you. There is a lot of strategic thinking that goes into a direct mail campaign, which is why the Consult YHN Marketing team is here to help! We will work with you to determine the best strategy and if it is driving the necessary traffic and ROI. For more information about how to optimize your direct mail campaign, click here. You can also calculate your marketing ROI with our new Marketing Calculator. Master the data, better serve your customers! Marketing has changed. Since 2000, essentially all businesses prepared for these changes with toll-free numbers and considered themselves ready for inbound marketing. Inbound marketing is waiting for consumers to call — or text, or visit, or click through to — your business. Use of the word waiting doesn’t do the concept justice, however. Inbound marketing is not passive, it’s active waiting, or, more correctly, encouraging consumers to contact you. Inbound isn’t a battle for prospects’ attention. It’s not a hard or aggressive sale as much as it is a strategy for presenting your business. Through content on your website, social media, blogs, etc., you encourage consumers who find your products and services relevant to their needs to reach out to you. Inbound is often applied to the customer journey — from being total strangers to having an awareness of your business, then moving through stages of familiarity and consideration of your offerings, and finally into the decision or conversion phase, where they choose to become customers. A smart business presents content in appropriate channels that suits the interests of prospects throughout this journey. Each portion of your content collection should relate to the buyer’s unique position in the journey and then advance him/her toward conversion. The trick is knowing if and how the content and the channels are actually moving the customer along in his/her journey. That’s done with data. Even though we’ve moved into instant, digital everything, some significant parts of a buyer’s journey still happen offline, and offline actions must also be tracked and measured. Offline data gaps can occur due to material differences among marketing channels. Facebook is a terrific place to build awareness and create a community, but social platforms are not where consumers typically go to make purchases or gain deep knowledge of your products/services. At the other end of the journey, phone calls are rarely first touches. A customer who phones your business may want information that they couldn’t find on your website — and there’s a good chance the customer is ready, or is almost ready, to buy. If you’re not measuring phone calls, you’re likely missing substantial data. The technology of call intelligence platforms makes taking inbound calls while collecting data, recording, transcribing (and more) a simple proposition. Most tracking platforms integrate call data with CRM, practice management software, and other marketing platforms, giving business owners a more complete picture of their potential customers. Why is call tracking important? It’s a digital world, but calls are far from dead. Even though the integration of the web and smartphones into everyday life has changed our world substantively, phone calls are still alive and well in the marketing process. Capturing, tracking and acting on the intelligence of your phone calls is no longer a luxury, it’s a necessity. In fact, the continuing evolution of phone technology has created an environment where mobile searches can result in immediate calls and conversions — all from the same device. Measuring which search queries, ads and content make those calls happen, therefore, will be key to building and refining a winning overall strategy. Jerry DeRosa is Consult YHN’s Vice President, Marketing. He draws from more than 25 years of marketing experience with expertise in direct and retail marketing, advertising and digital media. Previously, Jerry was Director of Marketing Communications for Wolters Kluwer Health, a medical information, data and publishing company.